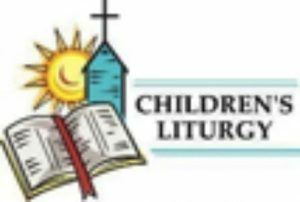 Our children have their own liturgy specially tailored for them and delivered by volunteers who take the children out of church to teach them about the Gospel of the day in a way that is easy for them to understand. At the Offertory of the Mass, the children return to church and the priest asks them what they have been learning about. Our children enjoy their sessions and gain a lot from them.